Beef meal, chicken meal, field peas, potatoes, poultry oil, tapioca, canola, fishmeal, flaxseed, beet pulp, fish oil, salt, natural prebiotic, yucca schidigera extract, taurine, mixed tocopherols (vitamin E), rosemary plant extract, vitamins (vitamins A, D, E, K, B1, B2, B6, B12, niacin, folic acid, biotin, choline, pantothenic acid), minerals (iron, zinc, copper, manganese, selenium, iodine, cobalt), lutein, garlic and kelp. 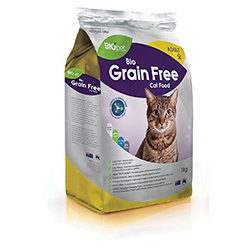 Chicken meal, beef meal, field peas, potatoes, poultry oil, tapioca, canola, fishmeal, flaxseed, beet pulp, fish oil, salt, natural prebiotic, yucca schidigera extract, taurine, mixed tocopherols (vitamin E), rosemary plant extract, vitamins (vitamins A, D, E, K, B1, B2, B6, B12, niacin, folic acid, biotin, choline, pantothenic acid), minerals (iron, zinc, copper, manganese, selenium, iodine, cobalt), lutein, garlic and kelp. We are passionate about Pets and believe in this ethos! We have carefully formulated this range to meet the growing demands of like minded pet lovers! 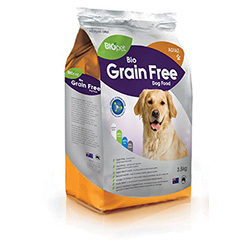 Norwest Web Design by Orion Creative © 2019 BIOpet Australia, All rights reserved.